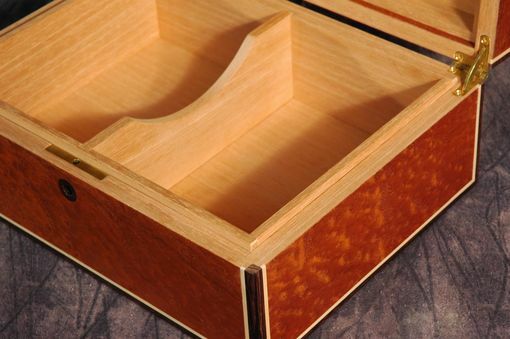 Our custom made humidors are not only designed to be beautiful, but stable and functional for storing your favorite "sticks". 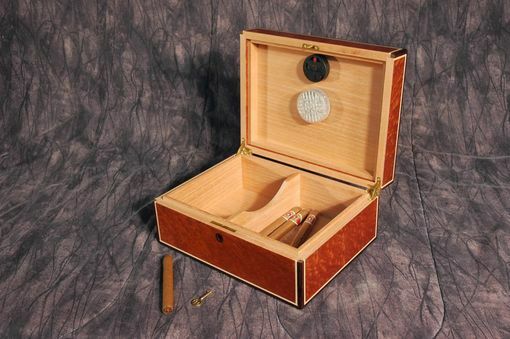 Choose from our standard box designs or have one custom made to fit your décor and cigar needs. 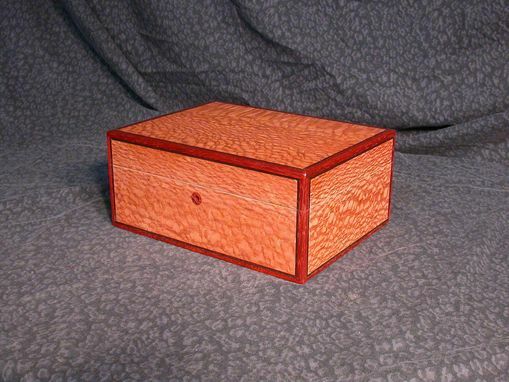 Our boxes are fabricated with exotic veneers as shown and/or with solid woods, depending on the design. 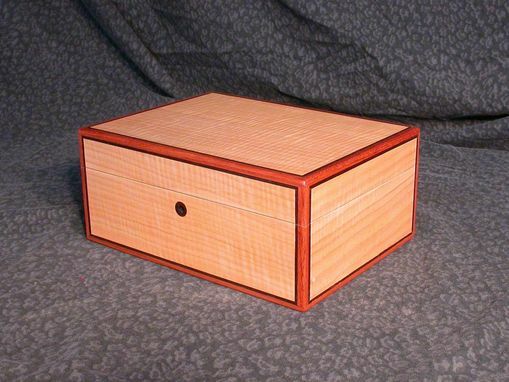 Spanish cedar, the wood of choice for the interior, is used in all our boxes. 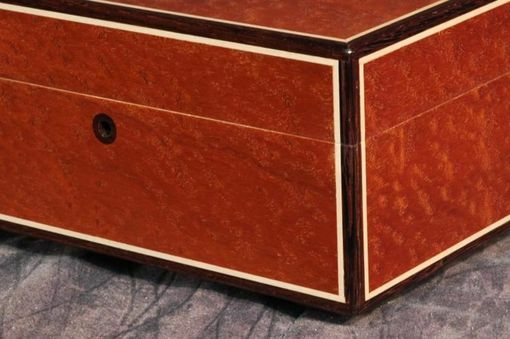 We also use only the finest solid brass hardware including quadrant hinges and mortise locks. 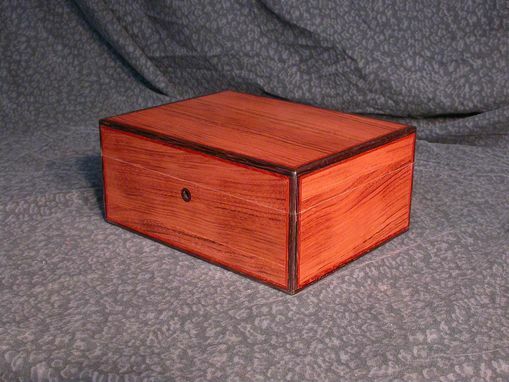 Included with the box is a humidifier and hygrometer/thermometer.